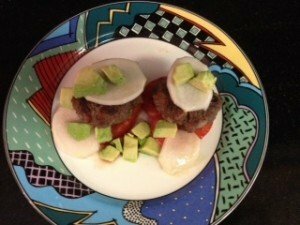 Al’s Best Paleo Burger is my creation and my favorite burger recipe. (You might say I’m biased.) But, my best Paleo burger just got better and healthier. This recipe is still my favorite burger recipe. It’s juicy and flavorful. But now, I have added one of the most nutrient-dense foods on the planet – chicken liver. I sneak it in for those who don’t think they like to eat liver. You can’t taste the liver, but your body will know the extra nutrients are there. Here is how I do it. I purchase livers of pastured chickens from a local farm. 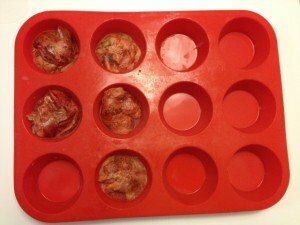 I rinse them and then freeze them individually in a silicone muffin tray. After frozen, I remove them from the tray and place them in a covered container in the freezer. When I need a surprise liver for my recipe, I take one out of the container, chop it while still frozen, and add it to the ingredients. In my burger recipe, I add one raw frozen liver (chopped) to the pound of grass-fed beef. Everything else in the recipe stays the same. The only difference is that there is liver in the burger.